Planned Parenthood endorsed Hillary Clinton. This speech is one reason why. Hillary Clinton on January 5, 2016 in Sioux City, Iowa. Planned Parenthood’s political arm made its first-ever presidential primary endorsement on Thursday, pledging its ample financial and advocacy backing to vocal supporter Hillary Clinton. “Hillary Clinton holds the strongest record on reproductive rights of all presidential contenders in not just this election, but in American history,” the organization said in a statement. 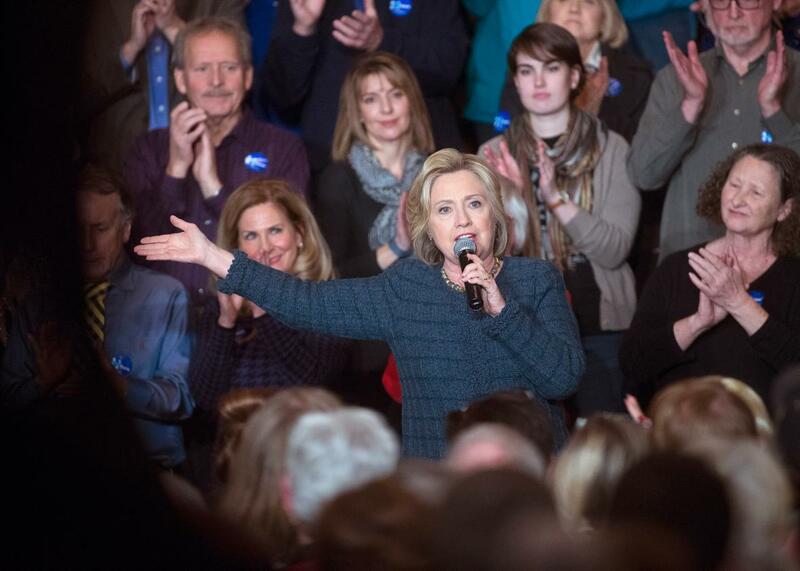 Clinton will accept the nonprofit’s endorsement on at a New Hampshire rally on Sunday. Just today, Obama vetoed the latest in a string of recent Congressional attempts to block federal funding for Planned Parenthood. The organization’s unprecedented endorsement reveals a sound recognition of the urgency of its mission in a year that’s seen a systematic rollback of reproductive rights and a spate of violence against abortion providers. It’s also an acknowledgement of Clinton’s stanch support for reproductive rights throughout her political career. Some of Clinton’s most famous public statements, including her oft-celebrated 1995 “women’s rights are human rights” speech, have centered on women’s health and reproductive justice. One of her best and most impassioned came at a Congressional hearing in April 2009, when Rep. Christopher Smith of New Jersey questioned the then–Secretary of State about the Obama administration’s support for organizations—the United Nations, the African Union, and NGOs like Planned Parenthood—that oppose anti-choice laws in developing countries. “Does the United States’ definition of the term reproductive health, or reproductive services, or reproductive rights include abortion?” Smith asked. When I think about the suffering that I have seen of women around the world—I’ve been in hospitals in Brazil where half the women were enthusiastically and joyfully greeting new babies, and the other half were fighting for their lives against botched abortions. I’ve been in African countries where 12- and 13-year-old girls are bearing children. I have been in Asian countries where the denial of family planning consigns women to lives of oppression and hardship. … Family planning is an important part of women’s health. And reproductive health includes access to abortion. Clearly exasperated with Smith’s line of questioning, Clinton continued with a tidy explanation of one of the most egregious right-wing hypocrisies around reproductive rights: that the abstinence-only education and reduced access to contraception championed by the Bush administration actually increased rates of abortion and teen pregnancy. Clinton schooled the representative with rising, barely-concealed rage. “We disagree,” she concluded, “and we are now an administration that will protect the rights of women, including their rights to reproductive healthcare.” Then she lowered her eyes and leaned against the table like she couldn’t believe what ignoramuses she was forced to address. For a decent case for Planned Parenthood’s endorsement, watch the full video. Read more of Slate’s coverage of the 2016 presidential campaign.